Addiction is complex and often co-occurs with an underlying mental health condition. In treatment, addiction and mental health must be addressed simultaneously for the best outcome in recovery. The World Health Organization (WHO) recently announced, “gaming disorder as a new mental health condition included in the 11th edition of its International Classification of Diseases,” which was released Monday, June 18, 2018. The WHO says the new diagnosis affects individuals who have lost control over their gaming habits, leading them to neglect everything else in their lives, remaining stuck in virtual worlds even as problems in the real world resulting from their addiction become apparent. A gaming addiction causes adverse effects on mental health. A person with a gaming addiction exhibits excessive gaming behavior that takes precedence over other life interests, responsibilities, and loved ones. 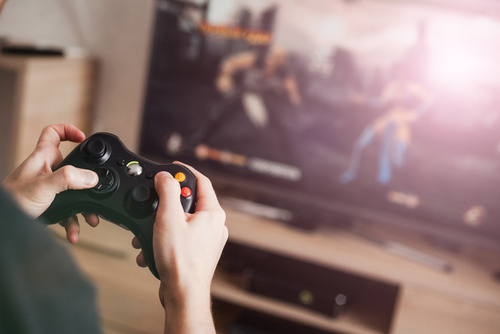 When a person has a gaming addiction, his or her control over gaming is impaired and he or she continues the behavior despite any consequences. Many games that are played online involve avatars or characters created by the player. This acts as an escape from the real world, into a fantasy world by allowing the person to be someone other than his or herself. Sometimes, players meet other people or characters to interact with during games, which can evolve into an online relationship. Gaming limits real-world human interaction and gives the player a false sense of security. In-person interaction with people beyond cyberspace is important for the development of relationships, nurturing mental health, and learning to be a productive member of society.